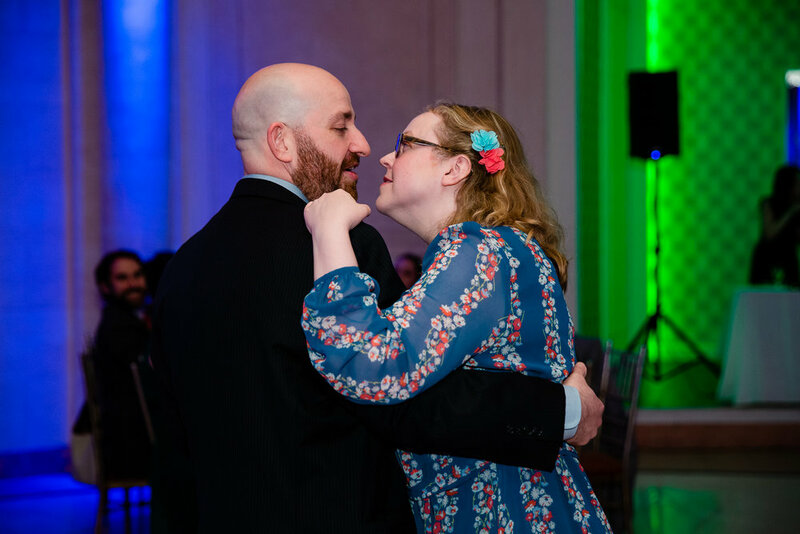 Jess and Rich are so silly and sweet and CHILL (seriously, how do I get so lucky to get such laid-back, cool couples??). You may remember them from their fun Coney Island, Brooklyn engagement session we did last year and now they are back with their wedding at Terrace on the Park in Queens. 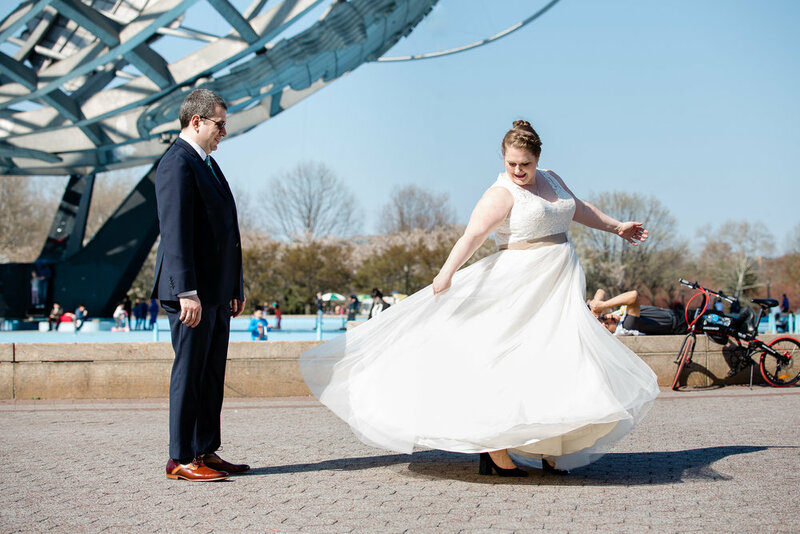 After getting ready with their respective wedding parties we headed to Flushing Meadows Corona Park for a first look in front of the World's Fair globe behind the Queens Museum. 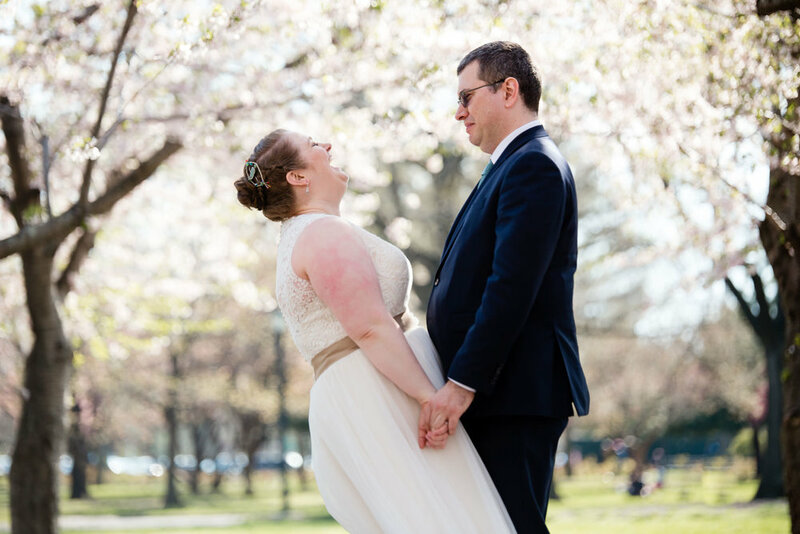 Lucky for us the cherry blossoms were in bloom so we could take advantage of their beauty for some portraits (and laughs). 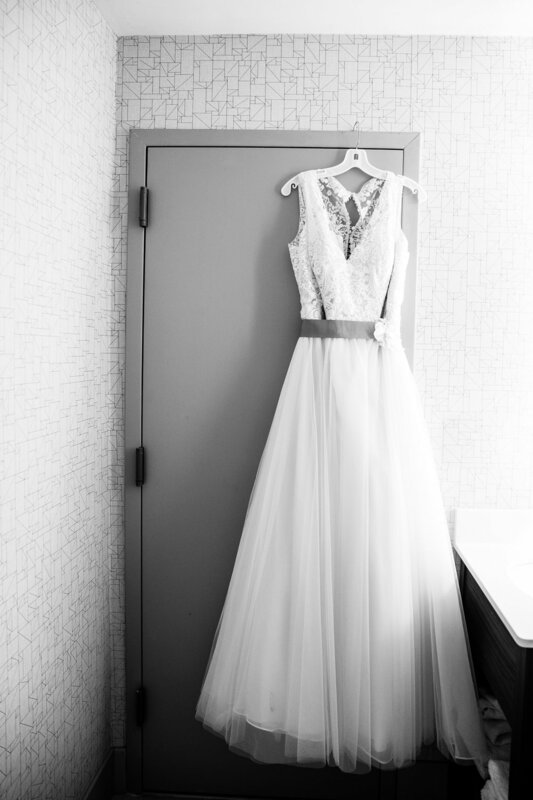 After an awesome ceremony in the Terrace on the Park garden featuring quotes from beloved movies/shows such as The Princess Bride and Parks and Rec and a ring bearer carrying the rings on a Star Wars waffle iron instead of a pillow (there's a great story there about the proposal ;) ) we headed inside to celebrate! 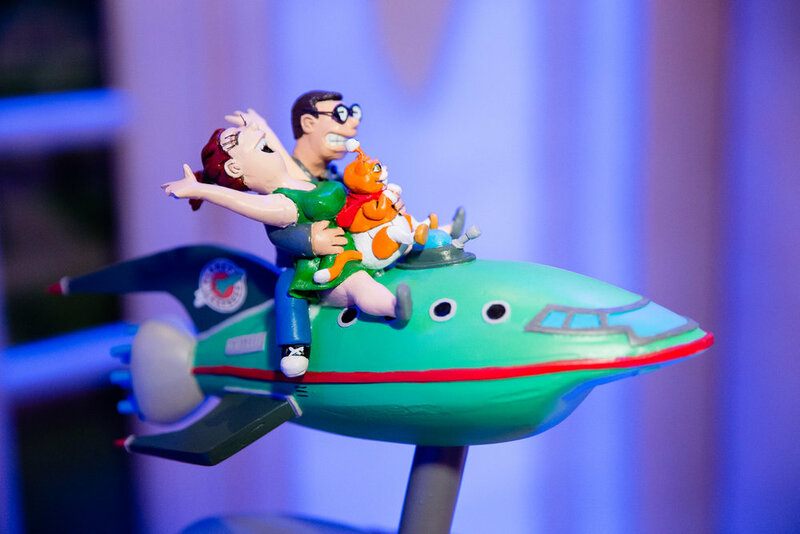 There were delicious wedding cakes from Momofuku Milk Bar topped off with the most badass cake topper I've ever seen: a friend created a Futurama-inspired spaceship with Jess and Rich riding atop with their pet cat! So damn cool. 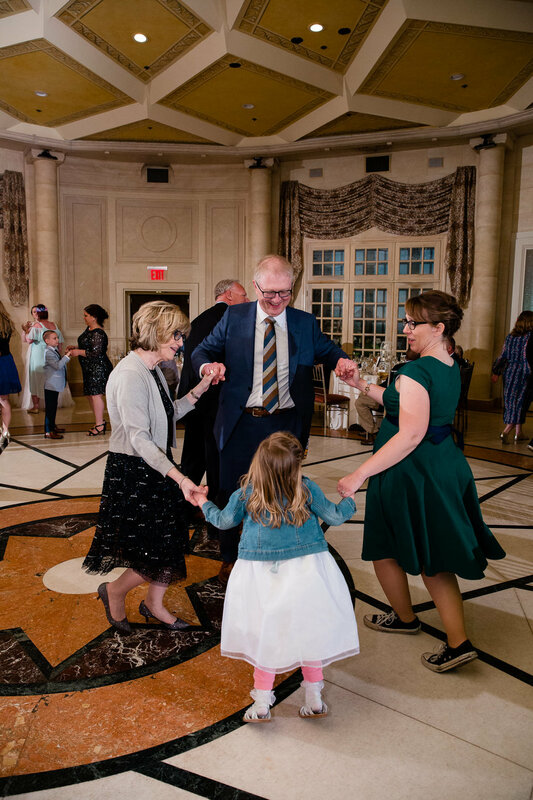 There were heartfelt speeches, and of course there was also a musical number created by the bride's theater friends to the tune of some well known Broadway shows. And the evening ended with a churro cart--who doesn't love some churros to finish out an amazing night?!? It was a spectacular night of laughter and love and I had a blast being a part of it. Congratulations you two!